Filling Tummies has been featured in numerous news stories for creative efforts focusing on Hunger in Oklahoma, with healthy food options. KOCO News Channel 5 Jason Hackett and Alex Housden report on the great work the Filling Tummies non-profit organization is doing to support feeding children and preventing hunger in food deserts. Click the ‘Play’ triangle on the picture to view the full news story. Newsk features Filling Tummies during a school visit as they fill crates with fresh food for school children to pick up from mobile pantry & take home for the weekend. Click the ‘Play’ triangle on the picture to view the full news story. Lisa Blacknoll, Executive Director of Filling Tummies (pictured above) along with board members Druana Sanders-Forcha, Ranada Sims, and junior board member Meciah Blacknoll are featured in this special Newsok Video, along with Junior Hospitality representative, Whittney Pratz. Click the “Play” triangle on the picture to view the full video. Filling Tummies Executive Director, Lisa Blacknoll (pictured above) shares with Metro Family Magazine why reducing hunger its so important and how getting the community involved can conquer hunger. Click picture to see the full text story. 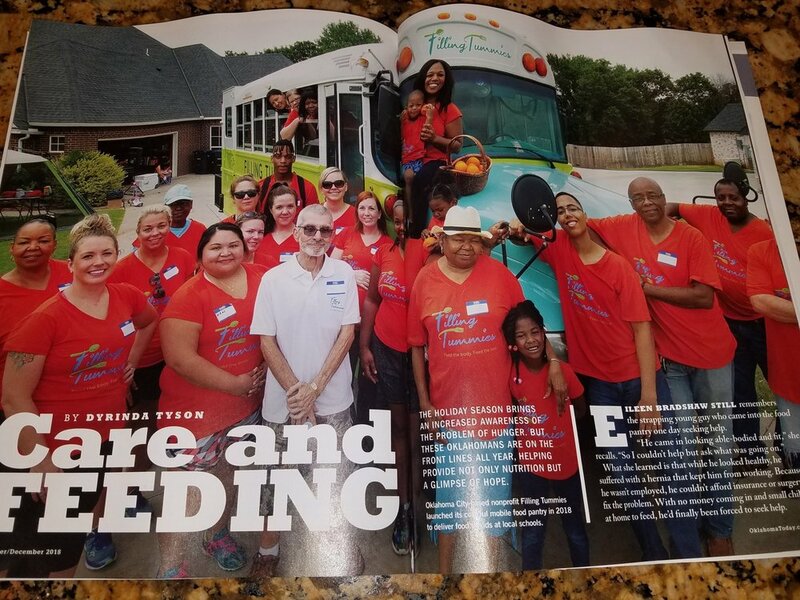 The meals on the bus go round and round, by Carla Hinton, captures many attention as the new bright green and turquoise bus rolls out onto Oklahoma streets to conquer hunger in under-served areas and food deserts. Pictured above, Meciah Blacknoll, Ranada Sims, Lisa Blacknoll Whittney Pratz (Junior Hospitality) and Druana Sanders Forcha. FNB Community Bank features Filling Tummies, raising awareness of Hunger in Oklahoma and shares Filling Tummies creative approach to feed local children healthy foods. 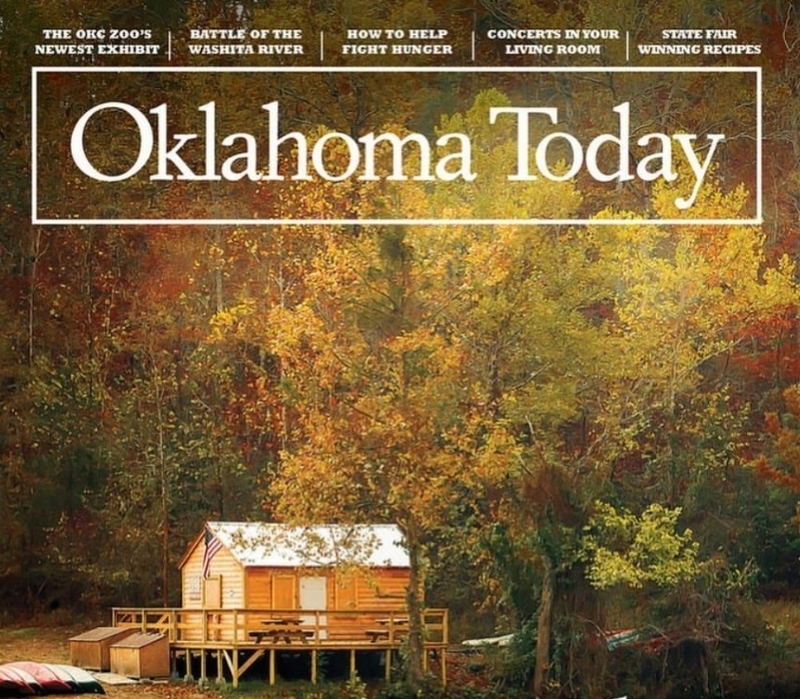 Oklahoma Gazette features Filling Tummies first annual Cheers 4 Charity fundraising event. Click picture to view the full text story. KOCO 5 Jason Hackett interviews Lisa Blacknoll, Executive Director and Scotch enthusiast about the first annual Cheers 4 Charity fundraising event.